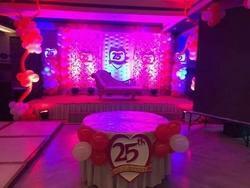 Forever Event Planner - Service Provider of theme party, wedding stage & weddings services in Kanpur, Uttar Pradesh. Choosing a proper venue is one of the most delicate decision for organizing any event. It is very crucial to select a place to carry out your ceremony, as the venue is where you will be showcasing your occasion. All your investments on other aspects will be a waste if the venue is not adequate. A healthy environment and nicely placed venue is always a point of attraction for the guests. Our main focus always stays on a venue that suits your requirements.With us you can find best venues in Kanpur for party or corporate event or wedding. Showcasing a different scope of greatly exhibited venues of Kanpur. From a small function to grand scale occasions,we have venues for each event. We have venues catering for wide range of occasions including; wedding ceremony, conference, meeting, party, extraordinary event, shows, presentations, workshops .... the list goes on. With our fully compiled image gallery, you can watch the style of venues. Begin your search to find an amazing venue in Kanpur ranging from hotels to farm houses, even the community centers, etc as we have various locations for you. We also provide discount on booking venue from us. 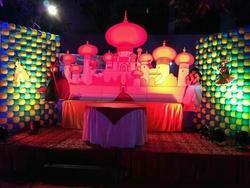 Now get affordable wedding venues in Kanpur and budget friendly party venues in delhi with Delhi Event Planner. The venue of your event is one such factor of key importance that cannot be overlooked as it is the place where everything else requires to be installed and staged up. While dealing with the technicalities of selecting the best Wedding Party venues in Kanpur you must keep a check on the available options that suit your requirement and also consider the information that could be accessed through the internet. While talking of the Wedding Venues in Kanpur it would be pertinent to mention that while choosing Venues for Marriage in Kanpur you must keep in mind the number of guests that are expected so as to give them a healthy environment to enjoy the party. In case of Party Venues in Kanpur the Accessibility and Ambiance must be verified prior to making the actual booking of Party Venues in Kanpur. Also you must verify the services and amenities that are given by the venue management for the ease and comfort of your guests. Parking and layout of the Wedding Venues in Kanpur is further essential aspect that requires to be given attention while making a selection of the Party Venues in Kanpur. If you think it's a tough task you can always contact us for a hassle free and fully managed Wedding Event Party Planning in Kanpur. Balloons add a whole lot of fun to all kinds of celebrations. Birthday party decoration based on a particular theme can be complete only with theme birthday balloons of the chosen birthday theme. Balloons bring in the party atmosphere for any celebration by throwing around a lot of color and fun elements. The birthday party area can be decorated with balloons that match the birthday theme in both simple ways or elaborate arrangements according to your allocated birthday budget.Balloon decorators can create a whole scene with just balloons to depict your birthday theme. Balloon decorations are extremely important in today’s birthday celebration as it dresses up the whole party area. 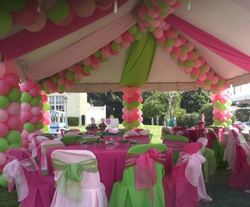 Balloon decorations in a small scale can be done by ourselves at home but a theme based balloon decoration for a party hall is best done by professional balloon decorators. Partyone.in has done extensive research in identifying the best balloon decorators in your city and can book your chosen decorator for your party date at no extra cost. You only need to pay the artist for the booked time. Just another way of thanking our dear customers for their patronage for foeverforyou.in. We at Forever help you plan and prepare for the perfect baby shower. Our extensive range of baby shower theme includes party invites, decorations, colourful banners, wall hangings and balloons, fun baby shower games, mom to be tiara and sash, yummy cupcakes and cookies, and wonderful personalized return gifts. Our cute and adorable party favors will make the guests feel special and create a memorable experience for them. We also design Diaper Cakes as it’s a great way to wrap your gifts or group of gifts which the new mum would appreciate. We also have a colourful range of foil balloons in various shapes and sizes for baby shower. 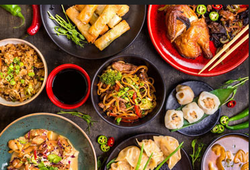 Catering is all about that yummy delicious food along with the great service. It 's through the taste of the tongue that you can step in the heart of your guests. 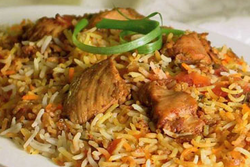 Serving fresh and tasty feast is our priority along with a variety of cuisines. We are specialist in serving food of various regions like pure Rajasthani food, Punjabi food, Gujarati food, South Indian food, etc. 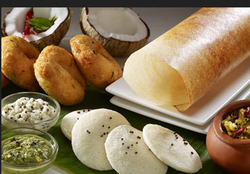 We have different Vegetarian and Non-Vegetarian Food Caterer units in Kanpur. Along with the delicious food what is required is the exquisite display that amplifies the flavors. A tasty treat is always remembered. 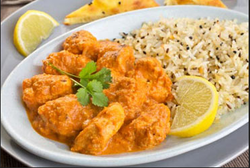 We lay a keen emphasis on proper blend of spices and services. We provide wedding catering services in Kanpur. Every Function is very special for us as same as to our customers. We take care of all work and provide you with the best caterers in Kanpur.We take all work in our hands with the thought that client relax and remain busy in there happy occasion and we do all the hard work as wedding planner in Delhi. Same as in west, the thought is, you to take delight and remain stress free. As best wedding caterers in Kanpur, Corporate event caterers in Kanpur and best caterers in South Kanpur, We handle and properly organize your functions [ wedding, corporate event, theme party, birthday party, etc] from the beginning to end of the function. When we are with you, then you don't need anyone else as we provide best services to you. Just call us for all your catering requirements.